Munich, March 18, 2019: With the third member of the Best Boutique Collection, the new representation company for stylish boutique accommodations is rolling out in the second country in South-East Asia. 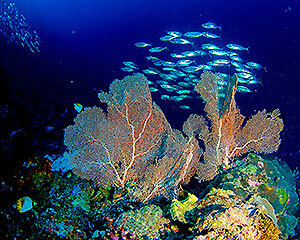 The Bunaken National Marine Park is a pristine, unspoilt dive paradise. 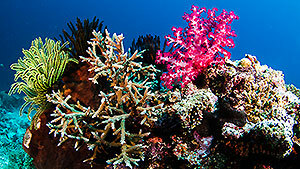 Bunaken Oasis Dive Resort & Spa is situated at the end of the famous of Liang Beach on Bunaken Island. 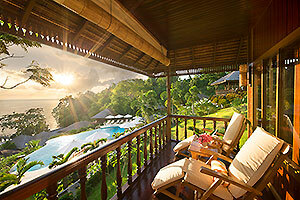 Breathtaking panoramic views over the lush tropical vegetation and the Celebes Sea prevail throughout the premises. The resort with twelve cottages has been purpose-built to offer tranquility and relaxation before and after diving or snorkelling. Eyecatcher and center piece is the free form infinity pool with sun-loungers and easy access to the chill-out cocktail bar. The spacious dive boats with freshwater deck showers and ample facilities for photographers provide easy access to over 90 superb dive sites including coral-covered walls, healthy reefs and muck diving opportunities. The 5* PADI dive centre offers a spacious camera room and a separate technical diving facility invites experienced divers to join missions to explore sites completely untouched by humanity, and to discover what is lurking down in the deep. The nearest airport to Bunaken Island is Sam Ratulangi Airport in Manado (MDC) on North Sulawesi and the total transfer time from the airport by car and subsequent boat trip is 1,5 hours. 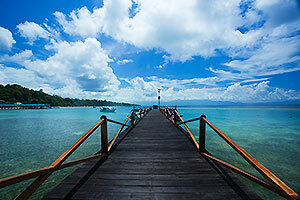 International flights connect Manado with Singapore (SIN), while several domestic airlines offer flights between Manado and numerous destinations in Indonesia, among which are Jakarta, Denpasar/Bali, Sorong and Ternate, offering attractive dive vacation combinations with Raja Ampat. 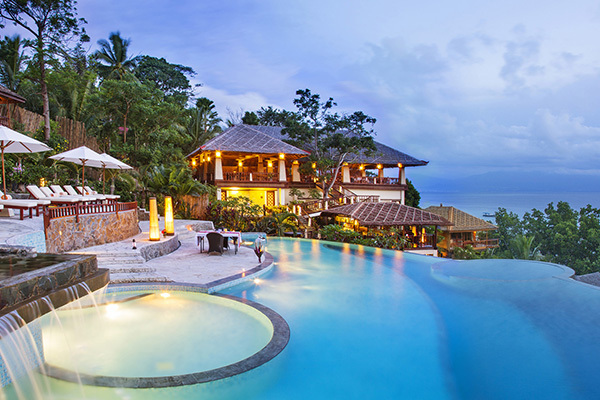 The idea to build the resort came to the British owners Elaine and Simon Wallace after having spent numerous dive vacations with too many compromises: “Either the resort was high-end and the diving was the unloved stepchild on the premises or the diving was first-class but the accommodation was not what we were expecting. So we decided to build a resort where divers and snorkelers are getting the best possible service both above and under water,”says Elaine Wallace. Text: The resort is located right in the heart of Bunaken National Marine Park – reef and fish are healthy.